Control Connections has selected market leaders to supply our products and a range of solutions to enable us to deliver them as quickly as possible to our Australian customer base. We also construct complementary products to meet any of our customers’ complex and unique requirements. Orscheln Products, LLC supplies the world with innovative cable and system solutions. Established in 1946, Orscheln Products has earned its fail-safe reputation as one of the leading global suppliers of motion control systems. This recognition comes from a continual commitment to manufacturing quality, leading-edge products and an exceptional service. The Orscheln family of products has increased over its many years of experience and trade to include parking brake systems, control cables, fluid level indicators (dipsticks), electronic throttle control systems, and shifter controls. Orscheln is also responsible for the Felsted® line of heavy duty mechanical cables, electro-mechanical foot pedals, and shifters. Orscheln customers include those in the on-highway, off-highway, aircraft, marine, and military sectors. The manufacturing and sales facilities are located in Moberly, MO. Orscheln Products is an ISO 9001:2008 certified operating facility. Datcon standard products include a broad selection of gauges, tachometers, speedometers, ‘smart’ instruments, instrument clusters, senders, sensors, switches and accessories. Datcon products have been designed for ‘ruggedized’ use in a variety of applications including high-moisture, and high shock and vibration environments. Custom products can be designed for your specific requirements. 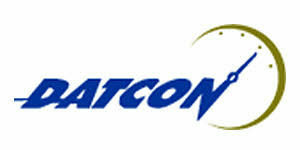 Datcon is a high-quality brand produced by Maxima Technologies. Maxima is a global manufacturer and full-service supplier of electronic controls, monitoring systems and vehicle accessories. Maxima’s products are preferred by original equipment manufacturers (O.E.M.’s) in the off-highway (construction, agricultural & mining equipment), specialty vehicle and motorcycle, on-highway (truck & bus), industrial, power turf equipment, emergency vehicle, marine market and heavy-duty and automotive aftermarket sectors. An Australian company, has for many years been a supplier of wiper system parts and spares for many and varying vehicle types. A company from the U.S.A., is a supplier of Wiper blades, arms, motors and accessories. A company from the U.S.A. has a long history of medium and Heavy duty wiper system parts including Ams, blades, motors and accessories. Speedscreen Australia has many years of experience in the manufacture of cables including Custom designs and copies of your damaged or worn ones. We supply Instruments including all types of gauges and controls for the agricultural, earth moving, heaving lifting, marine, mining, trucking and transport industries. Building solutions for all types of customers, from the Government and Australian Defence Forces through to auto shops and backyard mechanics, Speedscreen has the manufacturing methods and equipment to enable it to produce thousands of control systems, all to the most stringent I.S.O certified standards.